A new faction of the Islamic Movement of Uzbekistan (IMU) independent of the Islamic State has emerged and indicated that it remains loyal to the Taliban, al Qaeda, and other traditional jihadist group that operate in Pakistan, Afghanistan, and Central Asia. The new faction announced its existence on June 10 in English and Arabic language statements released on Twitter and Telegram. In its first statement, the group – which continues to call itself the Islamic Movement of Uzbekistan – said the IMU split apart after its last emir, Usman Ghazi, pledged allegiance to the Islamic State in 2015. “Dear mumin [believers] and Muslim brothers! We found it to be necessary to make a statement about the latest events in our jamaah [group],” the statement reads before giving a brief explanation of the group’s leadership history and loyalties. 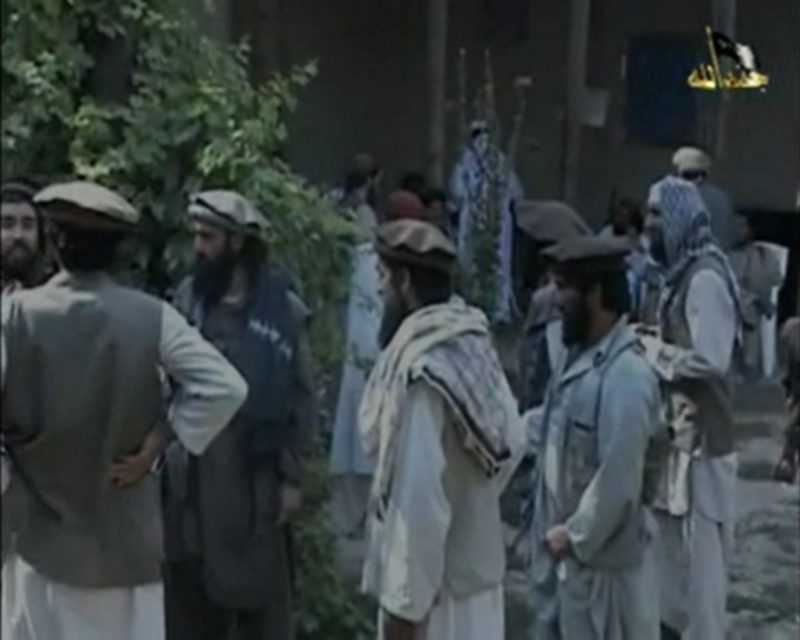 The group notes that the IMU’s first three leaders, Juma Namangani, Tahir Yuldashev, and Abu Usman Adil each gave an an oath of allegiance to the Taliban’s first leader, Mullah Omar. It also said that its last emir, Usman Ghazi, also originally pledged to Mullah Omar. Despite Ghazi’s break with the IMU’s traditional allies, including the Taliban and al Qaeda, a core cadre from the IMU continued to fight as a group. Previously, the core cadre of IMU fighters who sided with the Taliban and al Qaeda continued to fight in Afghanistan, but their differences were stifled because the pro-Islamic State faction controlled the IMU’s official media outlets. “[W]e would like to mention that the delay to our announcement to public, that activities of the Islamic Movement of Uzbekistan did not [stop]. Although not in a quantity as before, it still continued its work. The reason for that, the members were dispersed in many faraway fields and that Islamic Movement of Uzbekistan’s official media outlets were not in the hands of its members and other difficulties and we apologize for that,” according to the statement. The IMU concluded by exclaiming that the anti-Islamic State IMU faction will continue business as usual and that it “will continue its Islamic activities with the grace of Allah against the enemies of religion and stand shoulder to shoulder with [believers] and Muslim brothers of Afghanistan,” which is a clear reference to the Taliban. The IMU faction did not name a new emir. This may be due to operational security reasons. As the statement notes, the previous two emirs, Yuldashev and Adil were “attacked treacherously by unmanned drone of crusader enemies” and killed. Great article. This illustrates the power of the ideology within the tribal system.